The Council requires many overseas applicants to pass all or a number of Parts of an examination on the law of New Zealand. The Examination consists of a six Part written Examination following a comprehensive self-taught prescription. The exam is held twice a year. Each sitting consists of two days (three Parts per day). The purpose of the Examination is to test the applicant's knowledge of the distinct features of the New Zealand law, and proceeds on the basis that the applicant will already have an understanding of the common law principles in that subject, by virtue of the applicant's overseas law degree. 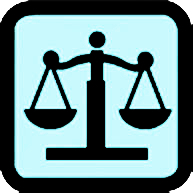 The Examination covers the areas of Legal System, Contract Law, Criminal Law, Property Law, Torts, and Equity. Each Part consists of one written Examination of 90 minutes duration. An Information Pack for the Examination is available by email. Please contact operations@nzcle.org.nz. All past papers are available for purchase either individually or by sitting (Feb or July of relevant year), for the required venue (NZ or UK), as per the application form in the Information Pack. The exam papers will be emailed to candidates in PDF format. Please note that copyright in the examination papers is held by the Council. On-sale of any papers is prohibited.